After nearly 30 years in the Army, John Lemondes is growing a sustainable farm operation while helping other veterans gain a foothold in farming. Four years ago, John Lemondes and his wife, Martha, bought about 500 acres of land in Jamesville, New York, and launched a second career. After more than 25 years in the military, Lemondes, a 53-year-old Army veteran, set out to establish a family farm. Though the land had seen better days—and Lemondes had spent decades in another field—his goal for the project was ambitious: he intended to build a profitable full-time business and raise his children on a farm. The Lemondeses named their farm Elly’s Acres in honor of their eldest daughter, who was born severely disabled. (Elly Lemondes died in 2016 at age 16.) John, Martha, their 13-year-old daughter Olivia, and nine-year old son J. J. put in long hours returning the land to health. In just a few years of farming, Lemondes has rehabilitated the land and implemented sustainable management practices; he’s established a thriving flock of sheep from which he derives both wool and meat; and, in addition to building his farm from the ground up, he has become an advocate for veterans interested in getting into business of agriculture. Though the farm is Lemondes’ first, he is not new to agriculture. In his youth, he picked strawberries, worked with livestock, and made hay, and he earned a Bachelor’s degree in agriculture from Penn State University. After almost three decades in the Army, where he rose to the rank of colonel, Lemondes was ready to take the discipline, organization, and team-management skills he’d developed and put them to work on a farm. Since the Lemondeses took over the land, they’ve worked to alleviate flooding in the barn and barnyard, demolished an unlivable house, renovated the farmhouse, and replaced miles of hazardous fencing. At the same time, they’ve reclaimed land that had reverted from pasture to scrub and planted pasture forage—grasses and other food for grazers—for the first time in decades. Having revived it, the Lemondeses see their land, with its mixture of fertile pastures and woodland acreage, as perfectly suited for the Rambouillet sheep they raise for their extra-soft wool as well as meat, with the goal of taking part in the emerging and lucrative field of dual-purpose ranching. Over the years, his initial flock of 20 sheep has grown to over 100 animals in a closed flock, all bred on the farm and carefully selected for their genetics. Lemondes rotationally grazes the animals, allowing the land to grow back healthier than it would with intensive grazing, and the flock is never fed grain or given antibiotics. Moveable electric fencing, combined with livestock-guarding dogs, corral the flock to protect it from predators and thieves. Lemondes says knows he’s doing the right thing for the land, in part because his pasture has so few parasites compared to most, and his sheep haven’t needed worming in several years. His grazing rotation is designed to balance the land’s carrying capacity with the density and frequency of grazing, keeping the manure from building up and creating nutrient runoff into the watershed. 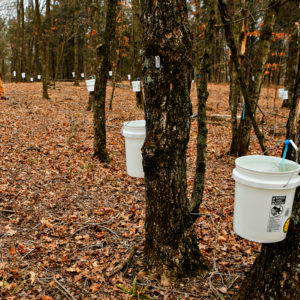 He also makes sure to distribute the animal’s manure carefully on the land to reduce watershed exposure risk. “If you are going to farm anything, you can’t farm what your land won’t support,” he said. It will take him several more years of breeding to reach the 500-head flock he knows his land can support. But Lemondes has already begun applying the lessons he’s learned—about grazing, of course, but also about making the most of financial support for farmers and veterans—to become an advocate for other veterans and sheep farmers in New York and nationwide. “John was a leader in the military, and now he is a leader in the effort to help other veterans become farmers,” says Michael O’Gorman, executive director of the Farmer Veteran Coalition (FVC). Although Lemondes’ 100-sheep flock is already larger than many other New York sheep farms, he hopes his expansion plans will help Elly’s Acres get out of a tricky middle place. Each of their sheep generates seven to 10 pounds of wool when sheared. Though this is his first time raising sheep, Lemondes has experience in the wool industry from his time in the military. Part of his job in Army acquisitions was to expand its use of domestic wool, which the military uses in everything from dress blues to berets, as is required by the Berry Amendment. He became an early supporter of wool after seeing a newer process, known as superwashing, in action. By rounding off the fiber through a specialized washing process, superwashing makes wool fibers less itchy, and less likely to shrink or mat together. Lemondes sought—unsuccessfully—to have the military invest in superwashing equipment in partnership with the American Sheep Industry; today Chargeur’s Wool in South Carolina owns the only superwashing equipment in the U.S.
“Wool is an amazing fiber,” Lemondes says, listing many of its benefits: waterproofing, odor-reducing, flame resistance, biodegradation, and anti-microbial properties along with its durability, colorfastness, and comfort. While Lemondes continues to expand his wool sales, he is also getting into the meat market. Currently, the farm sells its meat primarily via word of mouth to local markets—Greek, Iraqi, and Moroccan cuisine are among the many that prominently feature lamb. And although the potential for domestically produced lamb is relatively untapped, Lemondes is betting that will soon change. “People who have bought our product love it,” he says. Having only recently acquired reliable internet access—an ongoing problem in rural communities—the Lemondeses are only just beginning to find their way to social media and new customers as they build their flock and develop their markets. But they’re betting on demand picking up as people recognize the benefits of wool and lamb. 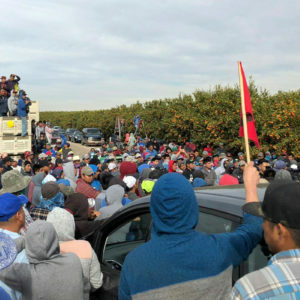 While the Lemondes are building their flock, they are also working off-farm, like more than half of the farmers in the U.S.
John works in the defense industry and handles the farm’s general labor and strategic planning. Martha has a job in human resources and organizes farm deliveries and events and focuses on the business development. The couple hires out most of the shearing, but family members—including the children—do everything else. Olivia specializes in lambing and health care, while J.J. handles barn cleaning and helps with firewood and other chores. “You’d be foolish to not have off-farm jobs when starting out,” Lemondes says. “We’re not going to allow ourselves to go bankrupt in order to farm.” Because they own their land, the Lemondeses are in a better position than many; investing in and improving land is even riskier when you lease. Many veteran farm programs offer a path to self-sufficiency that many veterans embrace, having given their prime years to the military. 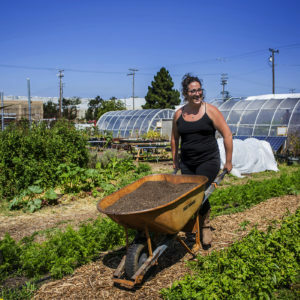 The Farmer Veteran Coalition (FVC) was born in 2007 out of a gathering of California farmers organized by O’Gorman with a goal of finding and creating farm jobs for those returning from active duty. 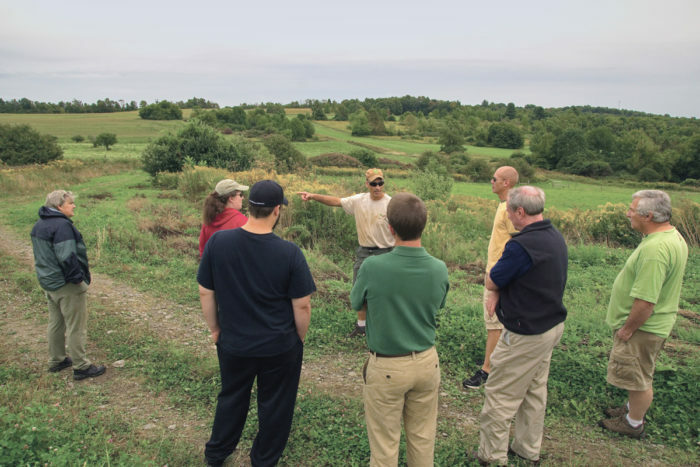 Today, FVC offers training and support, with chapters across the nation; Lemondes is the president of the New York chapter, has hosted a tour of his farm for other FVC members, and convened a state-wide conference for farmer veterans through Cornell’s Small Farm Program. Since 2007, the number of veteran-focused programs has grown significantly. 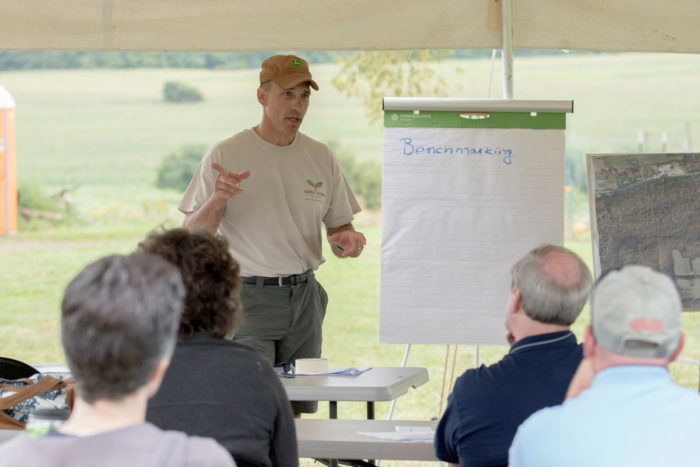 The USDA now offers training programs; the National Center for Appropriate Technology’s Armed to Farm program and AgrAbility also offer programs and resources. Lemondes has taken advantage of some resources, including Cornell University’s Farm Ops program, and has found the education to be invaluable. But knowing what to do and how to do it, and even where to turn for help, hasn’t made the journey painless. For instance, Lemondes hasn’t found it easy to work with the local Natural Resources Conservation Service (NRCS) office, and see problems with the structure of programs like NRCS. According to Lemondes, the long-term contracts required under many conservation programs can rule out funding options for those who might have to sell the farm prior to the contract ending, requiring farmers—who are already going under—to pay back the funding immediately. And strict program regulations specify the use of protocols that might not work on all farms. He’d like to see more flexibility in these programs that would meet the individual needs of more farmers. He’s also had difficulty accessing conservation programs such as the Environmental Quality Incentives Program (EQIP) or the Conservation Stewardship Program (CSP). (He says he’s still waiting for a check for an EQIP project he completed in March 2017). And the income threshold needed to be competitive for some government grant programs is rough for small and beginning farmers. Lemondes has become a farmer-activist. Over the past four years, he has written about his experiences as a beginning farmer, and testified in front of the House Committee on Agriculture about the shortfalls and potential benefits of Veteran Farmer programs. Thank You for your service. And ThankYou to your family also. We have a small flock of sheep that is raised for wool meat and hopefully milk. I call them designer sheep as ive crossbred to get my colors and fun fiber. I really want to learn more.